Four years ago, Sylvia and I married each other at My Big Fat Geek Wedding. 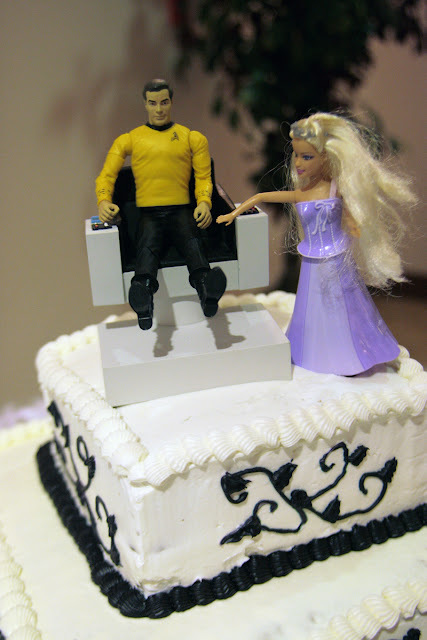 And as implied by our cake toppers above, the space explorer and the princess did indeed live happily ever after. Happy Anniversary, Squishy McMonkey! That was the wedding of the decade! Susan & I are so pleased you two found one another. We wish you all the best for the years to come! A day late and a dollar short, but happy anniversary, to the both of you. May there be many, many more.